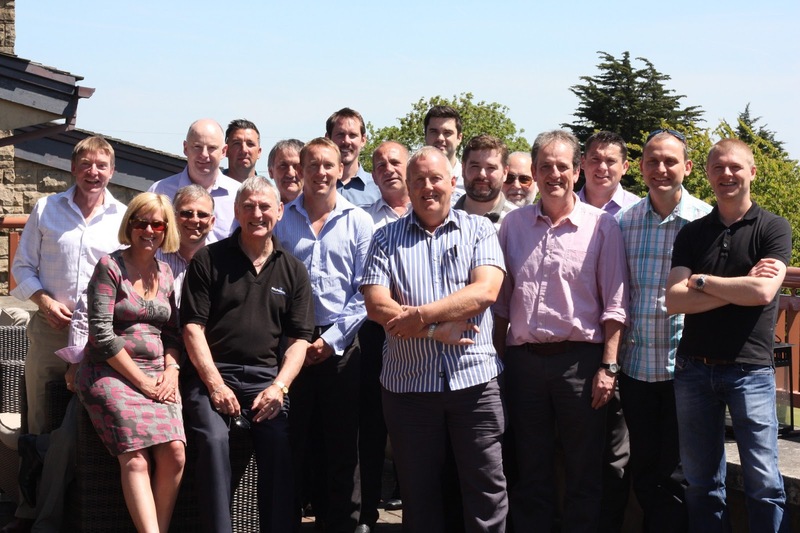 From left to right: Chris Nicholas (Dolphin Mobility Manchester and Poole Branch), Jane Eaton (Dolphin Stairlifts South Wales), Craig Dunnage (Dolphin Mobility Home Counties, Manchester, Poole and Dolphin Mobility Hoists), Mark Weston (Dolphin Stairlifts South Wales), Matt Pettet (Dolphin Lifts Kent), Norman Farrington (Dolphin Stairlifts Midlands), Steve Wakefield (Dolphin Lifts Western), Neil Welham (Dolphin Stairifts Kent), Tom Wakefield (Dolphin Lifts Western), Steve Carpenter (Dolphin Stairlifts South West), John Pearce (Dolphin Stairlifts South Wales), Michael Hambrook (Dolphin Mobility East Midlands), James Broome (Dolphin Stairlifts Central), Colin Gill (Dolphin Mobility East Midlands), Bob Lines (Dolphin Stairlifts North East), Lee Farrington (Dolphin Stairlifts Midlands), Paul Smith (Dolphin Stairlifts Anglia) and Christian Dunnage (Dolphin Mobility Ltd and Dolphin Mobility Hoists). Notable absentees from our Scotland, Northern Ireland and Ireland branches and a special mention to Gareth Watkinson from our Cumbria and Yorkshire branch, who is busy getting ready for impending fatherhood. Good luck Gareth!